Cape Town - The Sharks team named to take on the Lions in Johannesburg on Friday shows just two changes to last weekend’s side for this important Super Rugby derby match. Robert du Preez continues at flyhalf while Curwin Bosch is included at fullback. Despite his relative youth (23 years of age), Van Vuuren will have the country’s most experienced Super Rugby player packing down beside him (and a fellow Bok in Coenie Oosthuizen on the other side of the front row). Tendai "Beast" Mtawarira will start this crucial match and make national history when he becomes the most capped South African rugby player in the competition. This will be his 157th appearance, overtaking the former record-holder Adriaan Strauss. Bosch in place of Aphelele Fassi at fullback is the only other change to the starting XV. 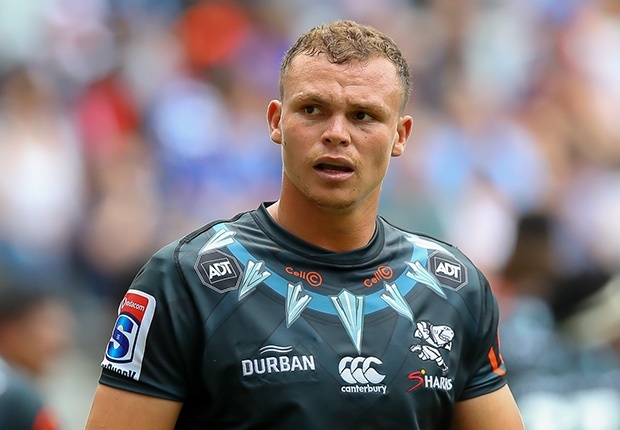 On the bench, Juan Schoeman comes in for Khutha Mchunu while JJ van der Mescht (like Mbatha, another player from last year’s triumphant Sharks Under-19 campaign) is poised to make his Super Rugby debut, replacing Gideon Koegelenberg as cover at lock.